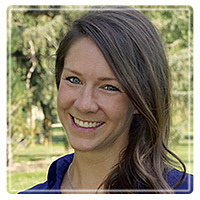 Reno Therapist: Jenna Shlachter - Therapist 89503. Send A Message To Dr. Shlachter. Is anxiety keeping you from doing the things you love? Is OCD crippling your life? Have you tried therapy or medications and found them ineffective? I want to help you relieve anxiety, stop OCD behaviors, and do what you dream of doing in life. At my practice, Anxiety Solutions of Reno, I work exclusively with clients who are suffering from anxiety and OCD. I only use treatment methods that are supported by research and have been proven to work for anxiety and OCD. Most often, this involves a treatment called Exposure Therapy (a type of cognitive-behavioral therapy). Anxiety and OCD are unique problems that often require specialized care rather than traditional "talk therapy"with a generalist therapist. Even if you have not hadsuccess in therapy before, I am confident that I can help you. I encourage you to learn much more about me, my practice, and my methods on my website: www.AnxietySolutionsReno.com. I also offer a free 20 minute phone consultation so I can tell you about what therapy with me would look like for your problem and determine if I would be the best fit to help you.